One of BlackBerry's founders, Mike Lazaridis, has cut his stake in the company from 5.7 per cent to 4.99 per cent as the struggling company's woes continue. Lazaridis' move, noted in a filing with US Securities and Exchange Commission (SEC), comes after he failed to gather finance for a buyout of BlackBerry during the summer. The company looked to be in the process of being sold to a consortium led by Fairfax Holdings. The BlackBerry co-founder, 52, had increased his holdings in at the end of 2012 by 3.1 million shares. This was apparently in expectation that the release of the new BB10 software in January would boost the company back towards the success it had enjoyed between 2007 and 2010. Last week BlackBerry announced that it was effectively giving up making handsets as the sales of its new BB10 models disappointed for the third quarter in a row, posting a $4.4 billion (£2.67 billion, $AU4.96 billion) quarterly net loss on revenues that had plunged by 56 per cent. The company is likely to have dropped out of the world's ten largest suppliers of smartphones for the Christmas quarter. Investors, however, have indicated that they see promise in the plans by the new BlackBerry chief executive, John Chen, to turn it into an enterprise software company. This would hand over handset design responsibility to Foxconn, the Taiwanese manufacturing company that also assembles phones and tablets for Apple. For Foxconn, the five-year deal, announced last week, will give it the chance to design BB10 handsets aimed at markets in southeast Asia, which is the third-largest business segment by revenue for BlackBerry. Foxconn, however, will also be taking on the 'inventory risk' – the problem of being left with handsets that customers don't want and which it cannot sell. 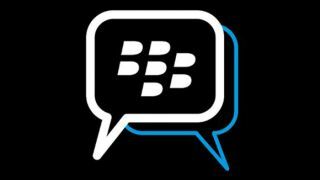 BlackBerry has successively written down $934 million (£567 million, AU$1 billion) and $1.6 billion (£970 million, AU$1.8 billion) on unsold inventory of handsets and other inventory, mostly BB10 handsets.